Do you often feel as if everyone else online knows something you don’t? It’s not just other attorneys; small businesses, big business—even your nephew’s blog seems to get more hits than you. What are you doing wrong? 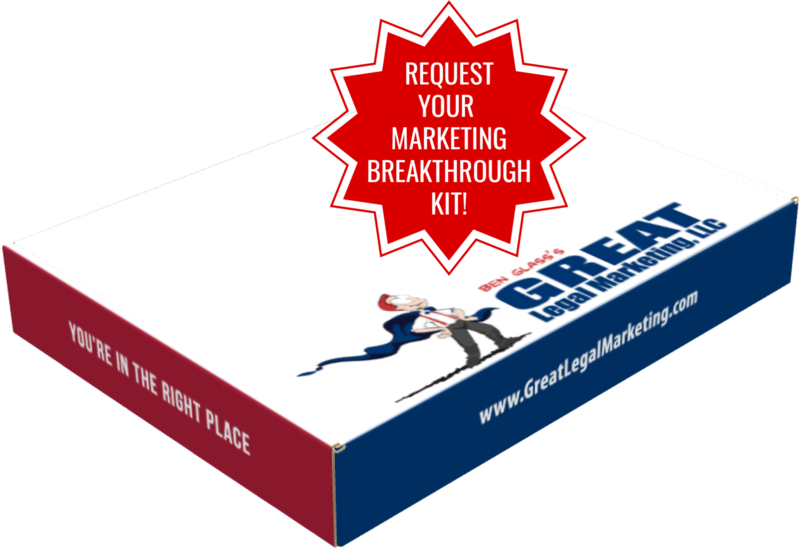 A lot of attorneys have this problem, and they deal with it in exactly the wrong way: they become frustrated with their legal web marketing efforts and just give up. They turn back to phonebook ads and other dying media, assuming that everyone else who has online success was simply born that way. However, successful attorneys see their low hit counts as a chance to become entrepreneurs. These attorneys never stop learning, and above all, never stop trying. Do something different. With so much competition out there, the worst thing you can do is look like everyone else. Throw a few jokes into your law firm’s advertising copy. Run an ad in a magazine that your competitors would overlook. Make mistakes. There only way you will know if a marketing tactic does not work is by trying and failing. But there’s nothing wrong with making a mistake. Sometimes the best advertising efforts start with mistakes—but with small corrections, are made into lifelines. Learn from the best. You should have a successful business mentor you can look up to and take inspiration from. It doesn’t matter what business they’re in; if they’re getting new customers regularly, chances are you can adapt a few of their techniques to suit your own marketing needs.